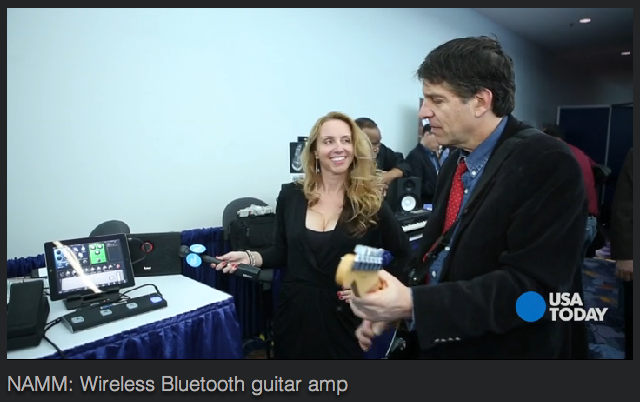 Starr Ackerman and Jefferson Graham from USA Today showing off iLoud bluetooth speaker system. General questions about articles, recording audio, iOS music creation and broadcasting apps, Android apps, or scheduling/booking an appearance on new music tech or audio products and the artists who use them. Requests to review your audio, beauty, or consumer electronics products/services on YouTube, my website and newsletters for new clients. And any other requests about Public Relations and/or Artist Relations services. Online Visual Interactive Resume: click here for Starr Ackerman’s resume. Please remember it is an interactive resume, so if you mouse over the timeline, you can read more information for each position I have held. Hope to hear from you soon! Keep on making music!